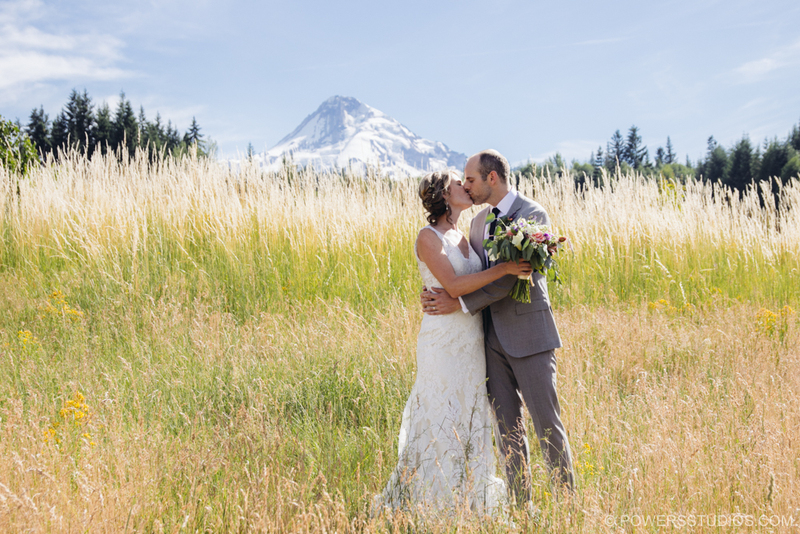 Mt Hood B&B was the perfect frame for Annie & Dave’s wedding. We couldn’t ask for a better weather! Annie was gorgeous on her dress and Dave with his grey suit and suspender was very handsome. As a 4th of July wedding they salute the flag and the ushers had sunglasses with the american flag printed on it. The officiant of the wedding was Dave’s best friend and Best Men, very funny! Everybody dances! The dance floor was always full! Congratulation Annie and Dave! Have a wonderful honeymoon and I wish you the best!! !